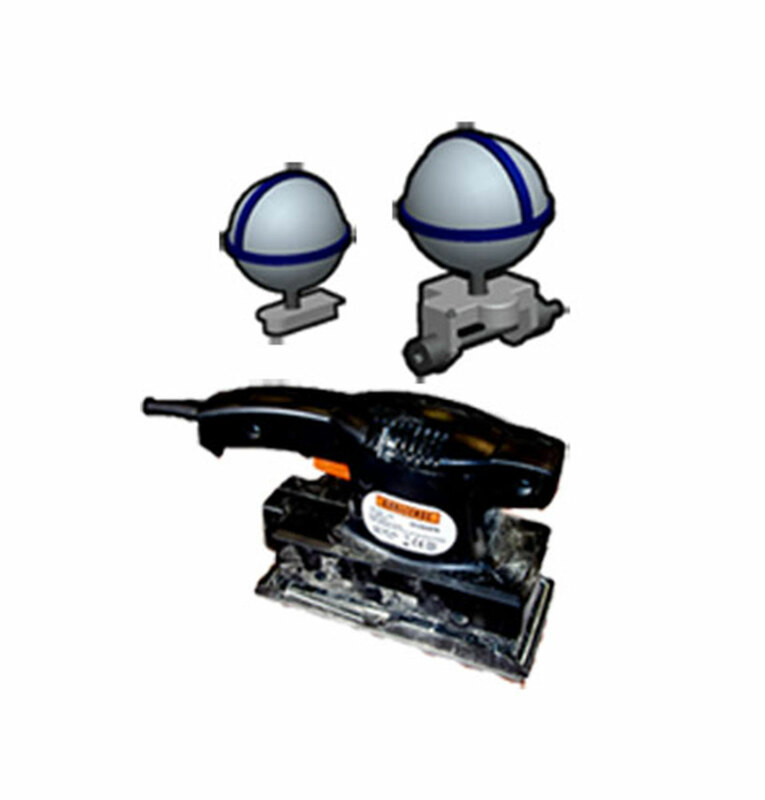 Through testing of this sander there was found to be excessive vibration where the sander is held at the front. An attachment to improve comfort was designed. Cast and machined aluminium handle. Rubber cushioning around the top for grip and comfort. Bolt on or moulded attachment designs.